Your roof is an important part of your home. Acting as one of the many barriers between you and nature’s harsh weather conditions, your home’s roof protects you and your family from rain, sleet, and snow. As a result of the weather conditions, your roof will endure wear and tear. Depending on how harsh your environment is, your roof may become damaged. This can become very hazardous as it can cause major health issues and further damage your property. Therefore, maintaining your roof is imperative. While some homeowners struggle to maintain their roofs by performing the necessary repairs on their own, others find qualified experts to perform the frustrating repairs for them. Trusting a reliable roofing expert has a variety of benefits that may make your repair project simple, easy, and hassle-free. 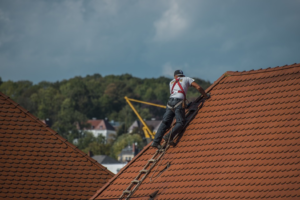 If you’re in Philadelphia, New Jersey, or are looking for a roofing company in Newtown, you can look to C&C Family Roofing for your home’s next roof repair. With over 50 years of combined roofing experience, fostered through proper education and training, we offer our clients high-quality services. Although we are located in Pennsylvania, our services are offered to a variety of nearby locations. C&C Roofing is the leading roofing company in Newtown, Cherry Hill, and Bucks County, just to name a few. Roof repairs and replacements are not simple tasks, and should not be just left for anyone to complete. Entrust your roofing project to reliable roofing experts like the ones at C&C Roofing. Our reliable contractors are committed to quality services, high standards, integrity, and take great pride in our performance. While some homeowners are equipped to deal with the stresses of their repair project, others are less flexible and cannot maneuver around the monkey wrenches that are thrown when repairing a roof. Roofing experts help make your repair process as painless as possible. A certified roofing contractor can provide you with a high-quality experience and ensure the project is successfully completed. Whether you are searching for a reliable expert to repair your broken or curved shingles, replace your missing granules, or replace your home’s entire roof, C&C Family Roofing has everything you need. Your home is a place that makes you smile. It is something you can take pride in, something to show off. When it comes to your home, it’s natural to always be wanting the next best thing. To want perfection is a natural feeling, however hard it is to actually achieve. When people think of ways to make their home sparkle, the first things that come to mind are typically landscaping or an overhaul of the bathrooms and kitchen. All of these things will help your home really pop and bring the value of your property to new levels, true. However, there’s another fix that will be seen by every single person that drives by your home, one that doesn’t involve tearing up the interior of your home: putting on new siding. Re-siding your home can be a daunting task, especially without professional help. Here at C&C Roofing and Siding, a professional siding company in Richboro, we have the knowledge you need to get the job done right, without the panic. The most important decisions you need to make? The kind of siding to be installed and the siding company in Richboro who will do the work. Vinyl siding is the most popular choice in the United States. This is due to a relatively low cost, low maintenance, and easy installation. This option isn’t the fanciest, but there are endless options when it comes to colors and textures, leaving you free to customize your home in whatever way suits your individual tastes. An option that has become less popular as of late, wood siding is still a charming look that will make your home stand out. Commonly used on cottage and bungalow exteriors, wood is pricier than vinyl siding but has a more charming look to it. Maintenance will need to be done on a semi-regular basis, and wood is susceptible to attacks from insects and stray critters, so keep that in mind. Still, it’s an attractive option that will hold up from anywhere to 10-100 years, depending upon installation and maintenance. 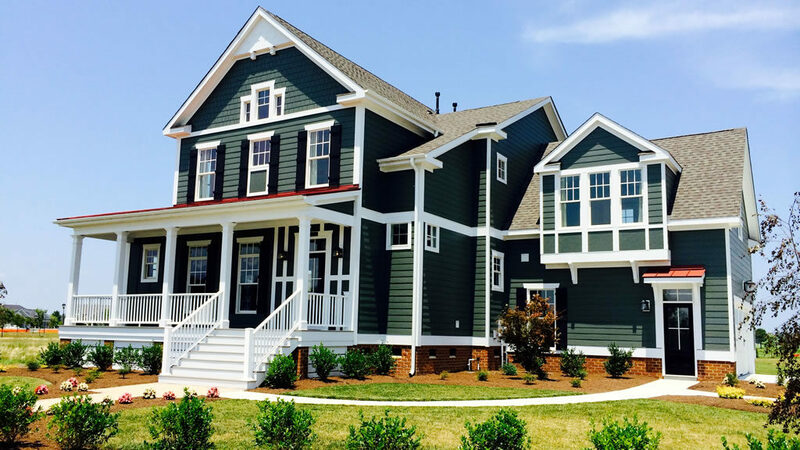 If you want a more traditional look, pick the siding that has truly stood the test of time. Brick is beautiful but quite difficult to install, hiking the price up quite a bit over other options. Still, it will likely last the life of your home and provide your home with that old-time feel. There are other kinds of siding out there, though less common, like stucco and stone; both attractive, if pricey, options. Whatever tickles your fancy, C&C Roofing and Siding, the best siding company in Richboro, has got an option for you. Go ahead and give us a call to discuss all the options we offer! Many of us typically believe that warmer months are the best time to contact roofers serving Greater Philadelphia. But the truth is, plenty of people come to us at C&C Family Roofing for winter repairs and replacements. Here are five reasons you should follow their lead and contact us today. 1. We don’t want you to freeze! Customer satisfaction is our top priority, and much of this revolves around your comfort level at home. Your roof is essential to moderating temperatures inside of your house, so don’t let a damaged or outdated roof skyrocket your energy bills. C&C knows how roofing materials and technology impact indoor temps, and we’re ready to get you started on the path to a toasty warm home. We’ve been the premier roofers serving Greater Philadelphia for more than 25 years, offering lifetime warranties and emergency service. 2. We love to beat the heat. We admit that roofing can be tough work. It’s also dangerous, which is why you need a licensed, insured company with a wide range of experience. Yet often, roofing is no more dangerous in the winter than it is the summer. During warmer months, the temperature on a roof can be 30 degrees hotter than it is on the ground. Performing your repair during cooler months can be safer and more time-efficient, as well as help us preserve the integrity of certain materials. Does your job give you the winter off? If you call other roofing companies during the winter, you might not get an answer. But roofing, siding, windows, and gutters are a full-time commitment for us. We couldn’t imagine closing down for the season, especially since emergencies can be much more urgent when it’s freezing. We’ve only gathered the experience we have through working in all types of conditions – experience that requires us to be available to residents in Philadelphia and beyond whenever they need us. 4. We know what we’re doing. It’s true; winter roof repair and replacement aren’t for every roofing company. But C&C Family Roofing knows all about how certain materials react in the cold weather, and how to mitigate specific risks associated with winter roof work. In fact, our extensive knowledge and promise to serve you has won us Angie’s List Super Service Award, as well as GAF’s Master Elite Awards in Consumer Protection, Training, and Installation Excellence. If you’re on the fence about winter roof work, let us show you the right way to get it done. 5. We want to save you money. If you are looking for a roofing company near Southampton, C&C Family Roofing is ready to help you with your needs. Our President and owner, Gary Selleck, has been in the roofing business for over 40 years. When he started his own business many years ago, he wanted to make sure he paid tribute to his family Cole and Chelsey, which is why he named his company C&C Family Roofing. With every customer, C&C Family Roofing treats you like family. We offer the best service with affordable pricing and warranties to ensure our workmanship. Most people are very familiar with the most basic of roofing options, the asphalt shingle. In fact, four out of five roofs in America are covered with asphalt shingles. The main reason for this is the price as they are typically the more affordable option. However, the price should not necessarily be your top priority, and certainly not your only one. Roofing has come a long way in the past couple of decades and there is a now a vast array of premium roofing options that offer numerous advantages. While each specific type has its own unique list of pros and cons, virtually all premium choices provide greater durability, increased longevity, and a more interesting look. Those in Pennsylvania and New Jersey should contact C & C Roofing for a detailed discussion of alternatives, but here is a basic overview. Slate is one of the most sought-after roofing materials for high-end housing projects. With an incomparable look, a fifty-year plus lifespan and absolute fire resistance, it is easy to understand why so many people are choosing slate for their new roof. Specifically designed to be practically impervious to the elements, these tough shingles will hold up in even the worst storm. With plenty of variety within the genre itself, whether you opt for clay or concrete, standard or Spanish, you will be sure to appreciate the charming appearance and impressive durability. 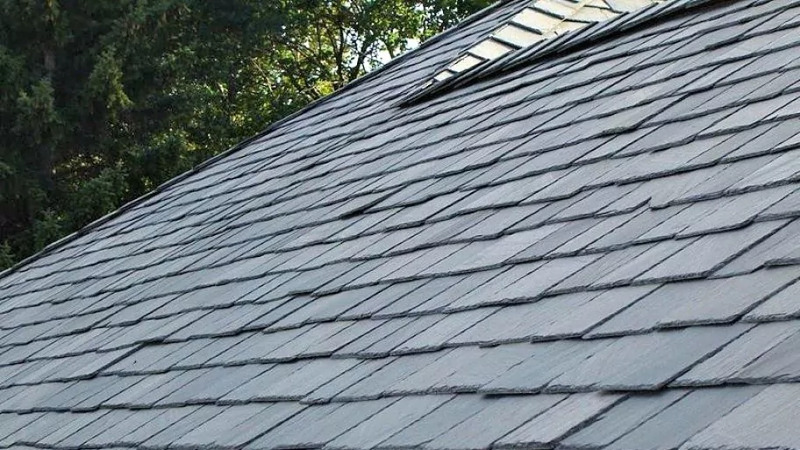 Growing quickly in popularity, these rough wooden shingles offer an exclusive style in a natural substance that has no detrimental effects on the environment during either manufacturing or disposal down the road. These asphalt shingles are laminated to increase toughness and resilience, as well as to change the look. They are designed in many different styles that mirror the appearance of more expensive premium options but at a fraction of the cost. Don’t limit yourself to the single roofing option you’ve always known. Today there are endless possibilities and a premium roof can easily be the difference between a nice house and the house everyone on the block is talking about. Check in with C & C Roofing to get some ideas for what your next roof could look like! At C&C Family roofing, we are always upfront and honest about the work that we do. If you have a leaky roof and it only needs to be patched we will tell you. If your roof doesn’t need more work than is necessary then we will tell you. Sometimes leaks may not even come from the roof. Sometimes it can come from damaged siding or plumbing. C&C roofing experts always lookout for these types of situations as well, to ensure your money isn’t wasted and the root problem is fixed. Our goal is always 100% customer satisfaction. C&C Roofing is the GAF Master Elite Roofing Company near Southampton that you have been searching for. We are THE premier roofers serving Montgomery County, Bucks County, Chester County, Delaware County, Berks County, Lehigh County, New Jersey and Philadelphia! The chilly air and leaves changing colors in Pennsylvania are a sign that fall is here. It is the best time to carry out some maintenance work on your home’s roof to make sure it is in perfect condition. 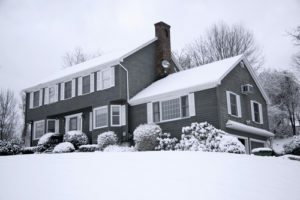 A well-maintained roof stands solid against the cold and protects your home from heavy winter ice, winds and snowfall. According to roofing experts in Willow Grove like C&C Roofing, regular maintenance of your roof makes sure that it is in perfect condition and extends its life. 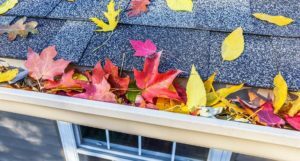 Here are top 5 maintenance tips for your home’s roof for the fall season. During summer months when the leaves are covering tree branches, you don’t see how close they have gotten to your roof. Once fall arrives and the leaves shed, you notice that some branches are almost over your roof. You should trim these to make sure they don’t damage your roof by creating cracks or holes. Also, if you trim your trees early in the fall, you can keep the falling leaves away from the gutter drains and your yard. Clean and unclogged gutters are necessary to keep the water off the roof. Clogged gutters means the water has no outlet and water get splashed back onto the roof. Which causes the mold to crack or water penetrating through the roof into your home. Also, a gutter clogged with leaves and other debris can turn into an ice dam which can damage your roofing. Clean your gutters before the winter hits and keep an out for leaves falling into the gutter. Gutter guards are the perfect remedy to spending hours on cleaning and unclogging the gutter. We are not saying you will not need to worry about cleaning your gutters at all but, the frequency and amount of time spent on the task is significantly reduced. Gutter guards are extremely easy to install and go over your gutter, keeping the leaves and other debris from falling inside. Water easily passes through the holes in the caps but the large objects stay out of the gutters. Before winter comes with full force, it is rational to have your roof inspected. You can call roofing company in Willow Grove to thoroughly inspect your roof for any damage and have what needs fixing to be fixed right away. 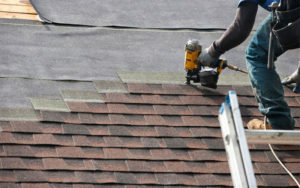 It is much easier to have a roof fixed without having to worry about snow or rain pouring in through the damaged area. After the inspection, your roofing expert will have pointed out areas that need fixing. Don’t try to be a do-it-yourself expert or try and make things work. Listen to the experts and invest in repairing your roof. Small problems can become bigger in the harsh winter weather and you may end up having to spend a lot more or may even need to replace your roof rather than have it repaired. Want to schedule an inspection by a top roofing company in Willow Grove for this fall? Contact C&C Roofing and get an expert opinion. If you are looking for a roofing company near Southampton, C&C Family Roofing is ready to help you with your needs. Our President and owner, Gary Selleck, has been in the roofing business for over 40 years. When he started his own business many years ago, he wanted to make sure he paid tribute to his family Cole and Chelsey, which is why he named his company C&C Family Roofing. With every customer C&C Family Roofing treats you like family. We offer the best service with affordable pricing and warranties to ensure our workmanship. Installing a new roof over your business is never something you want to leave up to chance. You want to hire the best company in your city to do the job. That means actually getting to know the contractor you are hiring. 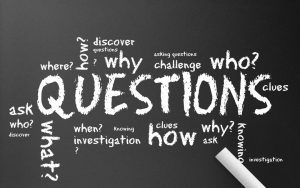 Always have a consultation with a commercial roofing contractor before signing on the dotted line, and make sure you ask these questions. How Much Work Do You Currently Have? A good business will always have customers. However, when it comes to a roofing company, you want to be certain that your project is not getting overlooked. See how many projects a contractor is currently overseeing to ensure that the company is not being stretched too far. You can also ask about how many employees the company currently employs and if they use subcontractors. Be cautious of subcontractors because they generally do not have the expertise you are looking for. Is Your Company Bonded and Licensed? A commercial roofing contractor should have no problem presenting you with the documentation proving that his or her company has all essential licensing and bonding. Licenses prove that the people working for this company know what they are doing. Additionally, you can ask about a contractor’s experience level for a certain job. For example, if you want a metal roof, then you should ask if the contractor has ever worked with metal roofing before. What Will the Process Be Like? This is going to be your company’s roof. You should have a thorough understanding of what this contractor is going to be doing, so ask for a step-by-step rundown. This is where you will find out whether the contractor will clean up after the roofers and if new insulation is going to be installed, too. Ask as many questions as you need to. The consultation can last a while if it means you are 100 percent confident in a roofing company’s abilities. An experienced commercial roofing contractor should have no problem setting your mind at ease. Some people worry about the initial cost of switching to solar energy, but the investment can save money in the long term. Tesla solar roofs are an especially good choice because the company offers an infinite tile warranty covering the lifetime of your house. Tesla is confident in the quality of its tiles, which are made of tempered glass over three times as strong as standard tiles. Tesla solar roofs come in four varieties so you can express your unique style: textured, smooth, Tuscan or slate. Additionally, you can customize your roof by combining different amounts of two identical types of glass tiles, solar and non-solar. Finally, the Tesla system works for you, not the other way around, by offering a Powerball battery that converts solar energy to electricity even during grid outages. There are many reasons why solar roofs and Tesla are an especially good pair. 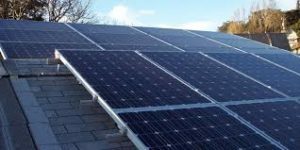 Whether or not your roofing needs involve solar energy, the key to getting the most value from your roof is hiring the best roofing installation and repair professionals in southeastern Pennsylvania. Roof replacement is definitely in the category of major home improvement projects. So, when it comes time to put a fresh shield of protection on your home time spent researching will go a long way. Before your roof is replaced, you can begin preparing for the project. Protect your yard from damage while roofers are replacing the roof. A reputable contractor will maintain a tidy site, but it is a construction site and nature tends to blow things around. Most contractors will protect your shrubs, plants, and decking. Should they not, take steps to protect your yard. 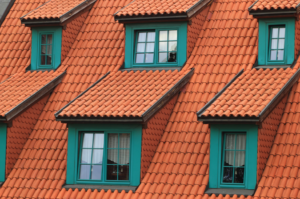 Below are a few more things to watch for when selecting roofing materials with roofing. Do consider various material options based on your budget and region. Consider also the look of the roof to maximize curb appeal. A contractor provides options for color and style for the area. Also, consider your location. If you’re new to the Pennsylvania or New Jersey area perhaps you aren’t familiar with the weather year round. Consulting a local contractor to help you select the correct roofing materials to be used is a great first step. A word of warning, however, in the next tip. Don’t go against your HOA’s regulations against certain materials, styles, or colors. Replacing a roof is certainly not as bad as replacing it twice! Lastly, think of the future. Select the desired look that will last through the years to again promote curb appeal. Is your roof in need of replacement? Pennsylvania trusts C & C Family Roofing, to keep their homes and families safe. Has a recent storm caused a tree limb to fall on your home? Or maybe it’s been awhile since you’ve had your roof inspected? Impact damage and aging roof systems can have many homeowners wondering about shingle repair and replacement. Intense wind and impact damage from fallen tree limbs and debris can all cause shingles to dislodge or break. If only a few shingles are missing, you might be able to get away with a quick roof repair. However, large areas will require your entire system to be re-roofed. If you currently only have one layer of shingles, you can typically have another added for less cost than replacing the entire roof. Inspect the edges of your shingles – are the corners curling up or down? Referred to as curling or clawing (respectively), this is a sign of poor ventilation or a hidden leak somewhere in your home. Heat buildup from your attic can cause shingles to fade or curl, hindering their ability to repel water. This can lead to water damage down the road. Roof granules are a protective coating that grant shingles their ability to repel water and keep your property safe. Storm damage from intense winds or heavy rain can wash away these granules, making your shingles more vulnerable to breaking or hardening in the sun. Roofers use flashing to prevent water from seeping in to the joints of your home’s roof and walls. This flashing’s fasteners are known to come loose over time, thanks to your home’s natural tendency to expand and contract with the weather. If you notice warping, rusting or other damage, have flashing replaced right away. Are your shingles in need of repair or replacement? C & C Roofing keeps Pennsylvania homes and families safe with quality roof services. When it comes to roofs that are in need of repairs, you don’t mess around. The last thing you want is to have your roof come down overnight. Unfortunately, it can sometimes be hard to tell when repairs are needed, as your roof itself won’t show any physical signs that you can see with the naked eye. There are a couple of things you can look out for if you suspect something might be wrong with your roof. This should be obvious, but any leaks are bad news. If you find a leak in any part of your roof, you’ll need some sort of repair. The question here becomes what the extent of the repairs will be. 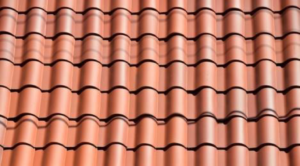 Flashings are metal strips that protect the most vulnerable parts of your roof from water intrusion. Due to this, they tend to be one of the first things to go. As they are so important, it’s recommended that you repair them as soon as possible. Cracks and dents in shingles should be repaired immediately. While one shingle certainly isn’t going to bring down the roof, it’s a sign the rest are likely on the way out as well. If your shingles are weak, this can cause huge problems down the line. If you’re seeing granule erosion, there is a big problem. You need to get this serviced immediately and the consequences could be dire. Granules in asphalt will find their ways into gutters system over time. This is something that merits having someone take a look at your roof. The key to keeping a good roof over your head is to keep your eyes out for the warning signs of damage. If you do this, you’ll be much more likely to avoid disaster. Want to get your roof repaired? C&C Family Roofing offers the best service and some of the most competitive pricing. Contact them for any roof repairs you might need. Why C&C Family Roofing, Siding and Gutters is number 1! When you need a roofer and it is time to put a new roof on your home or business , C&C Family Roofing aims to make the entire experience as painless as possible. After all, replacing roofing or performing a quality roof repair is a major construction project not to be left to just anyone. Get Your Estimate Today from our certified expert Roofing, Siding & Gutter Contractors!